German visual artist Gerhard Richter was born in Dresden in 1932. In a career spanning fifty years, Richter has come to be one of the most expensive living artists in the world. His abstract and photorealistic paintings have a spontaneity and sense of motion, which is highly evocative. While he has explored various artistic styles, the blurred painterly effect of his photographic paintings is the most recognisable hallmark of his work. 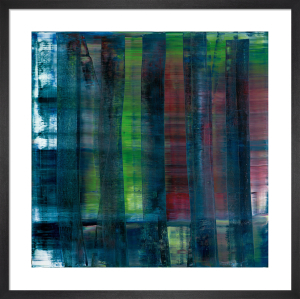 These enigmatic prints have real presence and work well on a large scale, framed simply or as canvases.